PDS also offers expert repair services for moulder spindles and saw arbors. New Precision Digital Stroke Gauge from PDS, patent pending and only $399 for purchase in our online store. Since 1996, PDS has helped manufacturers minimize downtime with expert repair for all HSC/HPC spindle systems for milling, turning and grinding as well as high-speed metal processing spindles. PDS is a global network of full service precision spindle repair and manufacturing facilities located in the United States, Canada, Germany and Brazil. PDS has extensive experience designing spindle motors for robotic applications including grinding, deburring, milling, routing, trimming, polishing, and profiling. We are an industry leader in precision high-speed spindles, spindle repair for CNC machines, saw arbor repair and moulder spindle repair. PDS spindle rebuilds endure demanding applications, delivering superior quality, highest performance and greatest value to a broad range of customers and industries. 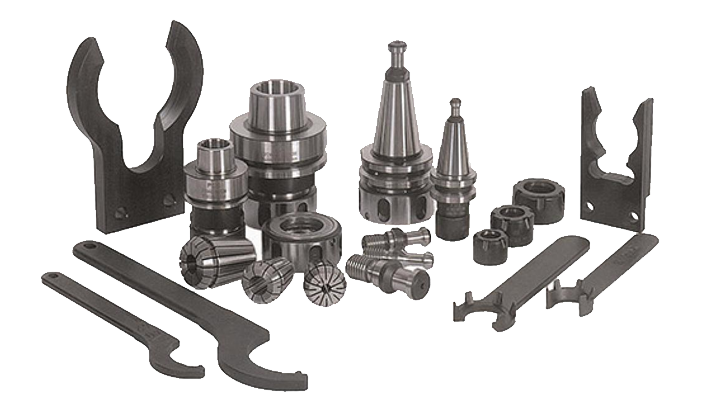 PDS offers a complete line of top-quality tool holders and spindle accessories. Find what you need to operate at peak productivity in our new online store! Save time and money - shop for high-quality rebuilt spindles in our new online store! PDS specializes in the repair for all brands of high-speed electric spindles, moulder spindles and saw arbors. No matter what brand or type spindle you have, the PDS spindle repair experts can repair it. "The engineers at VELOX CNC have been very familiar with the PDS brand for over 15 years. PDS has been a choice vendor for our spindles! The outstanding service is one of the main reasons why we use the PDS brand. The quick, experienced, and professional service has kept VELOX CNC ordering more spindles each year. The capacity for spindle repair has been a big plus to why we gravitate to PDS. We appreciate the high level of products that PDS has provided us and it has been a brand that we have trusted over the years. We would recommend PDS to OEM and end users with confidence." "The spindles we are receiving from you from a balancing aspect have been absolutely phenomenal. I am talking Nano ounces. Which I cannot achieve without a spec of paint." Maintenance Tech. III - Leatherman Tool Group, Inc.